Here in Western Australia, we really are spoilt for choice when it comes to weekend getaway destinations. The downside, however, is that WA is so damn big and spread out that if you want to visit somewhere new (other than the usual spots on your Dunsborough/Margaret River hit list), you’ll either need all the time in the world to spend driving there, or a bank account to rival Gina Rinehart’s if you choose to fly. Luckily, there is a sweet new wine region in WA (well, ‘new’ by wine region standards) and it’s called the Ferguson Valley. 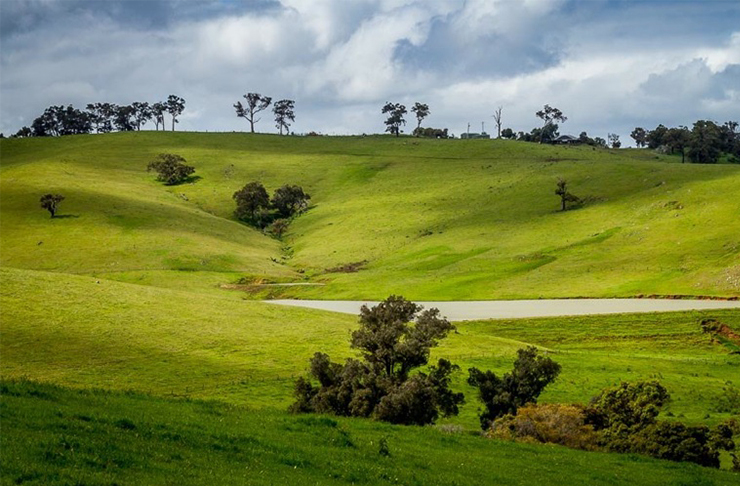 A mere two hour drive from Perth, it’s loaded with stunning scenery, local wineries and delicious food. Being the generous sorts we are, we’ve done the ground work for you, so all you need to do is rock off for who is skipper, jump in the car and get around it. Leave Perth at 5pm after your hard day at work, and (pending traffic) you’ll be in the Ferguson Valley between 7pm and 8pm. Once you arrive, set your sights on Wild Bull Brewery—they have loads of different local beers to choose from, so why not get the tasting board to sample the whole lot. Order some of their tasty pub grub made with fresh local produce, find yourself a spot on their outdoor deck area and enjoy. There is a lot of wine tasting that lies ahead of you today, so make up for it by getting up nice and early and going for a trail run through Crooked Brook Forest. There are about four different trails that all weave through the tranquil forest, with little markers along the way informing you about the history of the forest (exercise AND education!) Plus, depending on the time of year, you might even get to enjoy the native wildflowers. Pack a breakfast before you go, and post-run, stop anywhere along Ferguson Road to sit and enjoy brekkie with a view. We’ll paint you a picture real quick—rolling hills, towering pine trees and lush forests. You’ll feel like you’re in Canada rather than WA. It’s wine time! First stop is Green Door Wines. This little boutique winery is touted as having the best tempranillo in the region, plus all their wines are preservative free (which we think means you can drink as much as you want without getting a hangover). Next stop is Ferguson Falls, which is a combination of the two best things ever—wine and cheese. Yes, the Italian owners of this place have both a vineyard AND a dairy, which means that, a) they’re the type of people you want to be friends with; and b) once you’re done wine tasting, you can peruse their selection of local cheeses and take a block or five home with you. (Which reminds us—remember to pack an eski). If your morning run has left you a bit peckish, they also do exceptional woodfired pizzas here. Then you’re on to Hackersley Estate for a late lunch. Do a wine tasting first, obviously, so you can decide which bottle you want to buy to enjoy with your meal. Then take a seat on their very impressive outdoor deck for your lunch degustation, and enjoy it with the expansive views over the lakes, pine forest and green rolling hills. Once your belly is full of wine and food, head on over to Gnomesville. 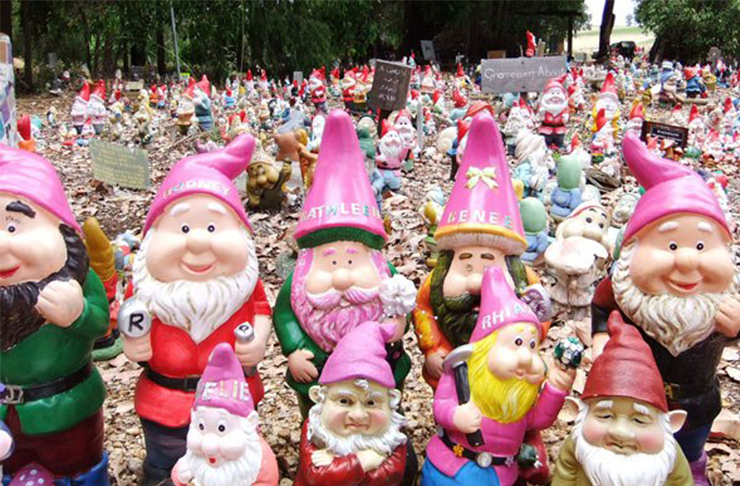 This weird and wonderful place is the biggest collection of gnomes in the world, and is the reason a large amount of international visitors stop by. Thousands of gnomes cover the land, all accompanied with little signs naming their gnome ‘communities’ (our personal favourite—The Gnoman Empire). It will definitely leave a smile on your face. Go home, open one of the many cheeses you bought at Ferguson Falls and one of the many bottles of wine you amassed, and enjoy. Start your morning with a jog from Honeymoon Pool to Wellington Dam. There’s a bush trail that takes you from the beautifully tranquil Honeymoon Pool all the way through to the Wellington Dam cafe, where you can grab a coffee and breakfast. You can even go check out the dam, if you’re in to that kind of thing. Oh my gosh, is it wine time again? Yeah it is! Your first wine stop for the day is St Aiden Wines, a lovely little vineyard and restaurant run by a local couple. They have a solid range of wines AND have wine-tasting snacks at the cellar door. Then you’re off to lunch at Carlaminda Wines Bistro and Cellar Door. Not only is this a lovely little winery specialising in European-style wines, their bistro is also the smallest French restaurant in Australia. How charming! You’ll feel very cultured after your taste of traditional French cuisine. Your last wine-stop is Willow Bridge Estate. This is probably the only wine label in the Ferguson Valley you’ll recognise, as these guys are stocked in restaurants and bottle shops up in the big smoke. Unfortunately it’s home time, so pack up the car with all your new bottles of wine and blocks of cheese, and make tracks. Once you've checked Ferguson Valley of your bucket list, why not start making plans to visit Exmouth? Image credit: Ferguson Falls Wines Cafe, Stumble Down Under and WAPF.